For a media man, one topmost responsibility is to gather news – as much as possible, exclusively and report them while they are still fresh and before any other reporters do. On July 18, 2010, Kuya Daniel Razon through UNTV introduced another first in the Philippine mass media practice. Tulong Muna Bago Balita is an unconventional news advocacy and the first of its kind in the country’s public service history. Without discounting the conventional journalism practice where being first is the norm, veteran broadcast journalist Daniel Razon launched Tulong Muna Bago Balita (Rescue First, Report Later) that puts life-saving efforts on top of the news core values. Introducing a redefined role, Tulong Muna Bago Balita encourages media practitioners to take saving lives as part of their profession and true service to the public. News reporting requires skills, and so saving lives. Months before Kuya Daniel announced the launching of Tulong Muna Bago Balita, he readied UNTV News Team to start the advocacy. 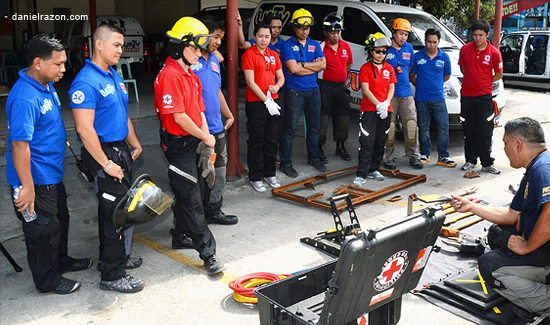 The veteran broadcast journalist sent the team to an emergency response training (ERT) course of Search and Rescue Unit Foundation, Inc. (SARUF), a recognized army rescue unit in the Philippines. 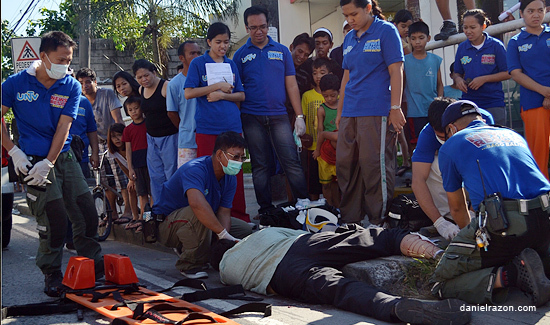 SARUF trained UNTV correspondents to be rescuers, from first-aid applications for various accidents to technical search and rescue operations. 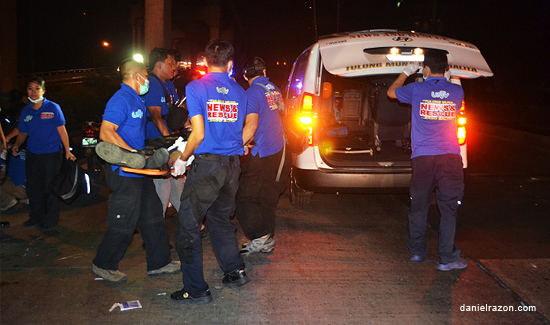 After passing ERT, the news team was renamed UNTV News and Rescue Team, which became the first Philippine media group equipped with news coverage and rescue operation skills since 2010. Right after the ERT graduation of the first set of UNTV correspondents, Kuya Daniel instructed to immediately start the training of UNTV personnel based in Philippine provinces and abroad.